Are you looking for renewed energy, relief from stress, improved sleep, and much more? It's time to start your Ayurveda wellness journey. 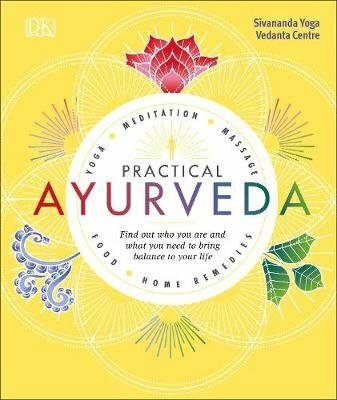 Practised in India for millennia, Ayurveda means life-knowledge - it reveals the path to ultimate wellbeing by identifying your individual characteristics and patterns of health, and showing you how to bring balance to your life. Find out Ayurvedic body type (prakriti) through a simple self-assessment questionnaire, and learn how to adjust your diet to suit your body type using recipes and ingredient lists, stretch and energize your body through yoga, and focus and relax your mind with meditation and positive thinking exercises. You can also look up home therapies and remedies for a variety of common ailments. Whether you're adopting this ancient lifestyle practice of self-care yourself, through your yoga practice, or as an alternative therapy, use Practical Ayurveda to apply its wisdom to your modern lifestyle.